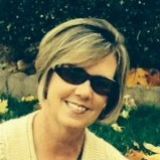 An Accounting Major, Glenda Thompson has been with PATINS since 2004 and appreciates serving the students and educators of IN as well as the PATINS staff. She enjoys coordinating the State Conference, Tech Expo and Monthly Featured Solutions, all the while maintaining the books for the Grant Funds. She also helps Director Daniel be where he needs to be, when he needs to be! Wednesday, 29 August 2018 Tea anyone? This brought back so many great memories from West Central Joint Services during my Project Vision Cohort classes and seeing Vicki & Tina, Bob, and et. al. Thank you for all you do!